UFO SIGHTINGS DAILY: Grandmother Catches UFO In Photos Over Peterborough, England On April 21, 2015, UFO Sightings Daily. 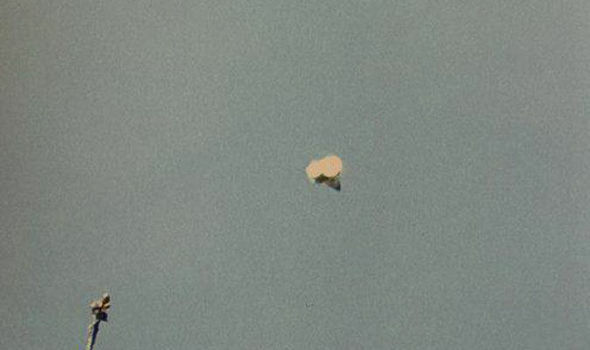 Grandmother Catches UFO In Photos Over Peterborough, England On April 21, 2015, UFO Sightings Daily. A GRANDMOTHER who believes "something else is out there" wants UFO hunters to help work out what the flying object is she captured on camera. 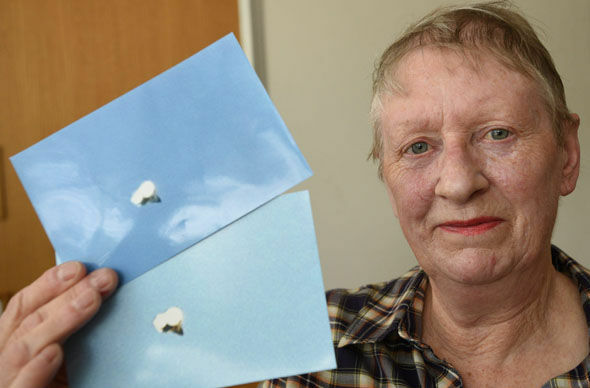 Sandra Stuteley, 68, captured the mysterious flying object while she was out walking in Peterborough, Cambs. The wildlife photographer took the snaps when she heard a loud screeching sound and thought it was a bird. Grandmother-of-three Sandra said: "I heard this really high-pitched sound so I quickly got my camera out and took a couple of pictures. "I looked at them and they looked a bit out of focus so I didn't really think anything of it. "It was only when I got home that I looked at it and saw the flying object. "I spoke to a friend in the RAF and they said it definitely wasn't a plane. "I do believe that there is something else out there but I really have no idea what this could be." Sandra spotted the UFO at 11.48am on April 21, but has only just gone public. She has asked friends and family what they think the object is, but so far none have had much of a clue.